Leidos (NYSE: LDOS) has won a potential $77 million contract to update the North Atlantic Treaty Organization’s ballistic missile defense system. Leidos will work to refine NATO’s BMD architecture, test the interfaces of these systems and operate the integration test bed and its system prototypes, the company said Thursday. The contract contains a four-year base period of performance and two one-year options plus one seven-month option and the Leidos team will perform work in The Hague, Netherlands. The award is a follow-on to the Active Layer Theater Ballistic Missile Defense contract awarded by NATO’s Communications and Information Agency to support the ballistic missile defense program office’s systems engineering and integration. 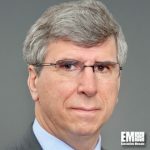 John Fratamico, Leidos group president, said the contract builds upon the NATO Active Layered Theater Ballistic Missile Defense contract to further provide protection of NATO territory. Leidos will collaborate with its partners from Canada, France, Germany, the Netherlands, Turkey, the U.K. and the U.S.